The Earth gravity field interacts with organic molecule humanoid structures in the geography state of Georgia. G --> gravity life and thought experiments in the state of Georgia. Within the EARTH LAB gravity/geography region of Georgia are a various institutions and individuals. Let's look at the state of G (gravity Georgia) and the organic chemistry secret social science agents mentioned above. First, let's review EARTH systems and projects ..... gravity interface systems with European agents Isaac Newton. 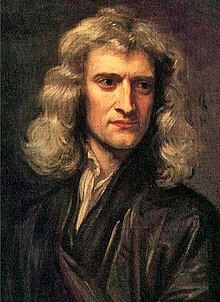 Sir Isaac Newton PRS MP (25 December 1642 – 20 March 1726) was an English physicist, mathematician, astronomer, natural philosopher, alchemist and theologian who has been considered by many to be the greatest and most influential scientist who ever lived. His monograph Philosophiæ Naturalis Principia Mathematica, published in 1687, laid the foundations for most of classical mechanics. Natures's TEST specimen is Newt Gingrich...whose noble mission was to provide empircal data on the gravity field/organic molecules interaction that results in humanoid political science expressions. Below we see the Carbon 6th district of Ne (Neutrons). Nature takes the atomic level AND amplifies /enlarge their signal to give a large visible human DISPLAY entity named after (Neutron) Newt. Thus atoms can ..... thru the amplification process ..... have DEMOS on the Earth's geography DISPLAY surface. Thus the atomic bio-physics humanoid gravity/mass converter with EARTH LAB identifier Newt G.
The Georgia organic chemistry government of Nature ...... in the carbon 6th district of 6 neut (neutron) ..... adds the Gingrich gravity interaction to yield a newt ...that is newt = ne + wt = neutron weight. Atomic carbon is a very short-lived species and, therefore, carbon is stabilized in various multi-atomic structures with different molecular configurations called ........ 6th Congress District of Georgia with the 1976 President Jimmy Carbon. Official campaign site provides his biography, news and information on how to support his candidacy. Thus we see the NUMBER 6 and its important role with the 2 components of Nature's gravity /carbon atom mechanism. Thus we see Margaret Mead atomic nuclear family...atomic political science expressions. The 6 electrons of the 6th C district of Georgia elected the 6 neutrons as their polictal leader leader. An amazing secret of Georgia politics. Georgia's 6th congressional district is a congressional district in the U.S. state . G ravity 6 . 6th carbon district is a congressional district in the Universe System states.